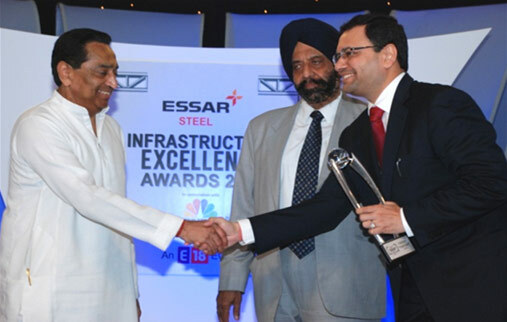 Home/News & Events/IRB wins the CNBC TV 18 Essar Steel Infrastructure Excellence Award for second time !!! This award is in recognition of the high quality work implemented on the Bharuch to Surat section of NH- 8 under Highways and Bridges Category. Hon’ble Shri Kamal Nath, Minister of Road Transport and Highways present the award to Shri. Virendra D. Mhaiskar, Chairman & Managing Director of the Company and IRB Group.